Don Gilmore certainly has no problem keeping busy. He’s an engineer by day, but builds race cars, creates glass art sculptures, and even enjoys amateur paleontology in his spare time. While these disciplines couldn’t appear more different, Don has found a way to merge them all together. His team, Iron Dinosaur Racing, got its name from the appearance of their car’s welded frame in its early stages, resembling the ribcage of a fossilized skeleton. 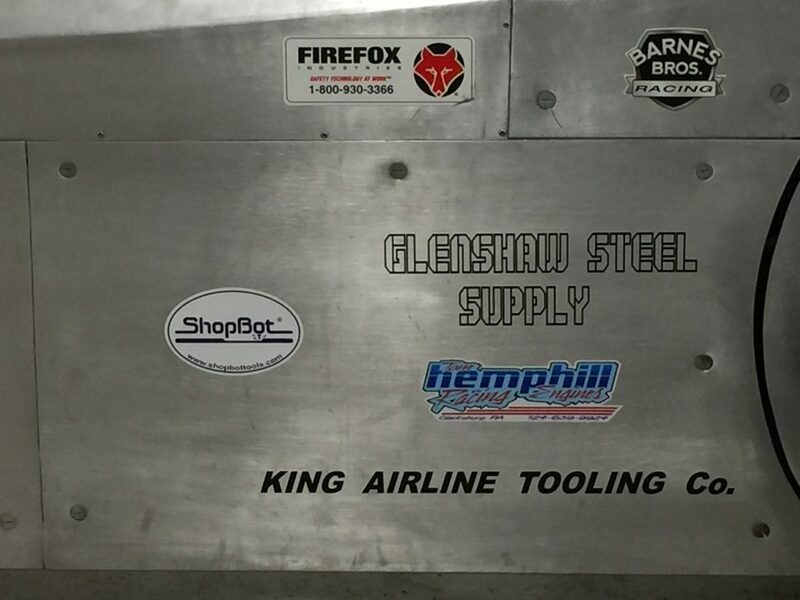 The team has also been able to adapt to changes that have come their way, using the ShopBot to cut just about every type of material imaginable on the way to creating a car that holds all of the East Coast speed records for its class. The team is next headed to the Bonneville Salt Flats in August 2017 to make an attempt on the existing record there of 349.873 MPH. The Iron Dinosaur push starting at the Ohio Mile. According to the Iron Dinosaur team, the ShopBot was such a vital tool in the creation of the racer, that it was only after Gilmore started listing the work items that he utilized the tool for that he realized it had become almost a member of the team itself. In addition to a number of prototype runs, the team made extensive use of their ability to cut and machine aluminum; they milled the engine’s 3.5′ x 4′ ft. firewall and aluminum dash (including instrument openings), and surfaced both to give it a nice appearance. They also cut torsion bar stabilizer links from ¾” x 2” 6061 aluminum, an important part of the car’s suspension system. The Iron Dinosaur’s engine turned firewall surface cut on the team’s ShopBot. Stickers on the cockpit highlight all the partners that helped build the car. The team displayed their car at the Piston Power Show in Cleveland on March 17, 18 & 19. It was wildly popular, pulling in first place in its class. One of the more interesting factors of Don’s experience was that many people he talked to at the event were either ShopBot owners or had used Aspire at some point. 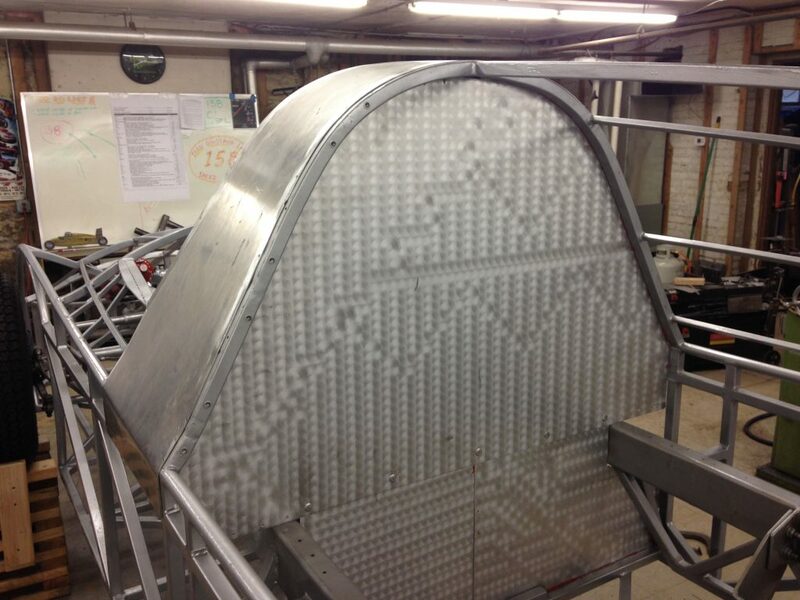 A number of the ShopBot owners had used them in other capacities, and were very interested in how the team used a CNC tool in the manufacture of a car. If you’re in the Western NC/Eastern TN area, or are looking to make the trip to see the land speed racer, you can catch the car on display and meet the team at the Wheels Through Time Museum in Maggie Valley, NC from July 7-9, 9am-5pm. In addition to working on the Iron Dinosaur car, Don has developed an interest in creating art out of glass. 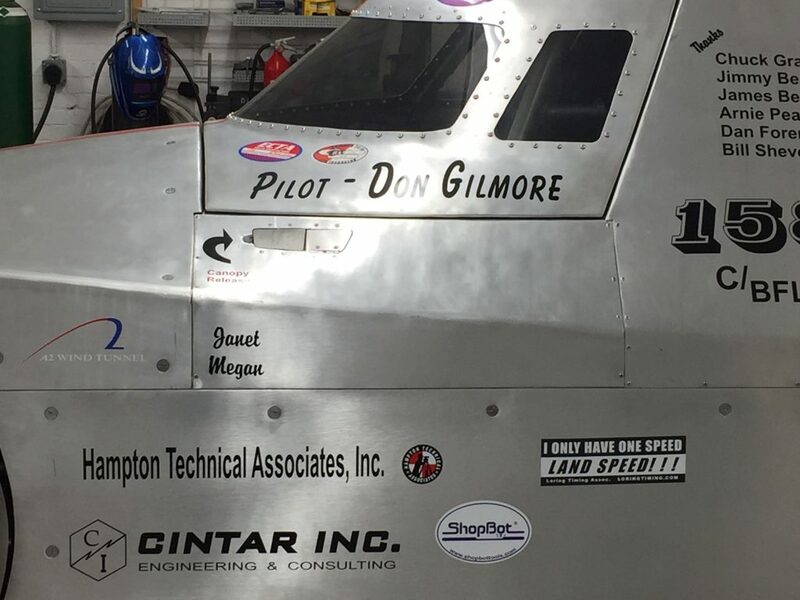 In trying to build the perfect windshield for his racer, Don has experience working with all shapes and types of glass materials, gaining an understanding of its properties along the way. He’s currently working on a piece based on a ¼” float wave cut mounted on a sheet of dichroic. 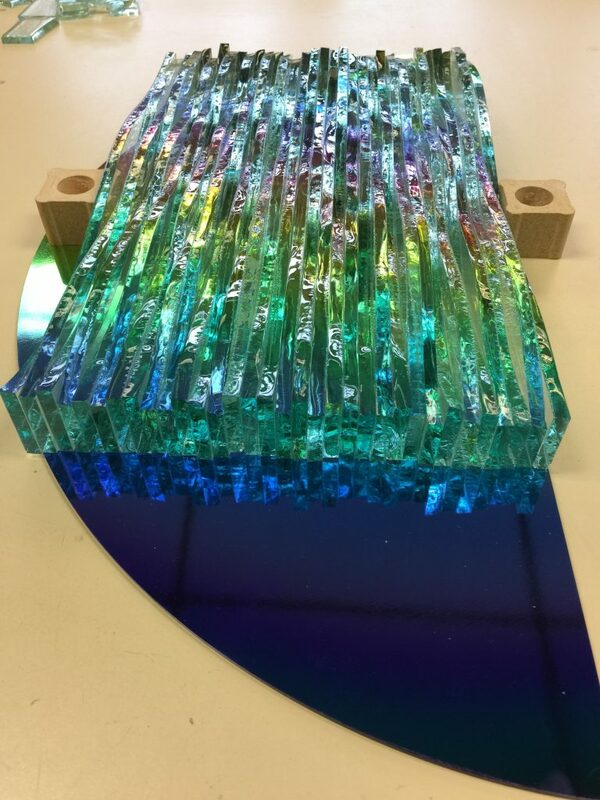 He plans on fusing the float together and slightly softening the edges to complement the refraction of light, allowing for an even more striking prismatic result.